21/08/2010 SLI Loan : Increase in number of instalements for the repayment of loans under SLI. Online Data Entry for English Medium Students of your school in 2008-2009 & 2009-2010 Urgent do before 2 PM on 6/7/2010 " Niyamasabha Question"
Prematricic Renewal & Fresh list for CBSE & ICSE Schoolsž 2009-2010. Govt Schools HMs/Principals Details through Online Click Here submit before June 5th. 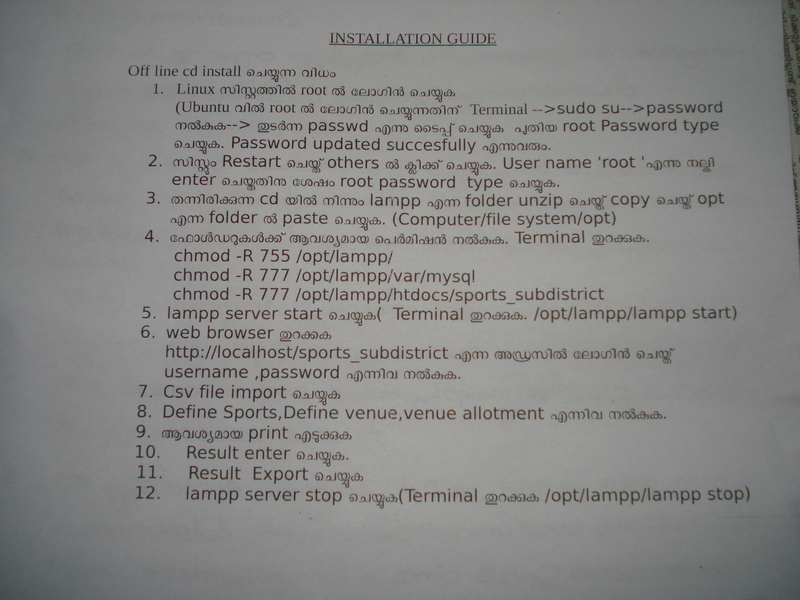 Edit Delete Move Up Move Down Insert Paragraph  IT@School-gnu-Linux-3.8.1 SSLC Mathematics Revision Questions Chapter wise 1, 2, 3, 4 ,5, 6, 7,'7', 8,9, 9 10SSLC BIO-Data VerificationVarify and correct thro' HM/ principal before 25-3-2010. Last chance to correct mistakes if any.